If there are birds in that house they need to take shelter. I thought you had temperatures in the 80s? Thunderous skies though - do these forecast tornadoes? A great composition in b&w! That's a rather thin pole. Good job birds are happy in swaying trees :) Fine photo. Nice shot Bill, have a good weekend. 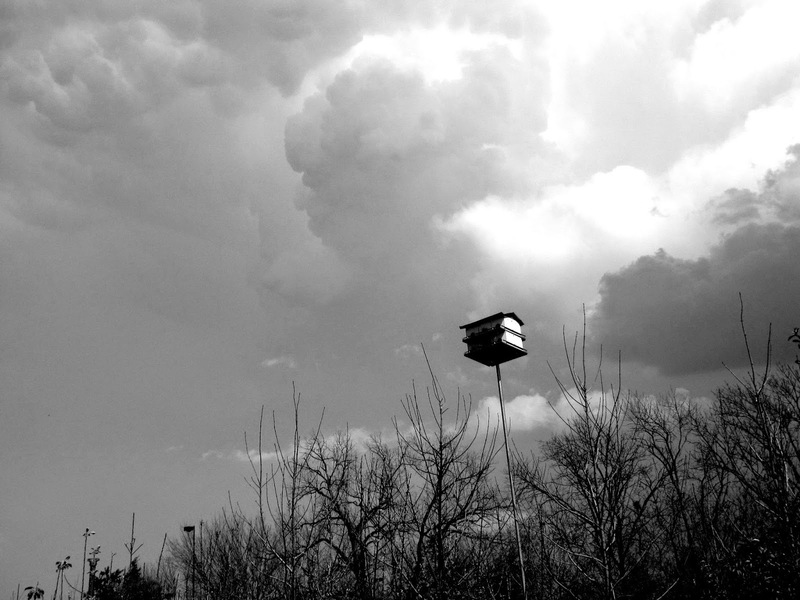 The birdhouse looks so vulnerable against that threatening sky. Ominous cloud tones. Love the sense of weight they create on the landscape. Magnifique photo de contraste. Caresses à Smokey.